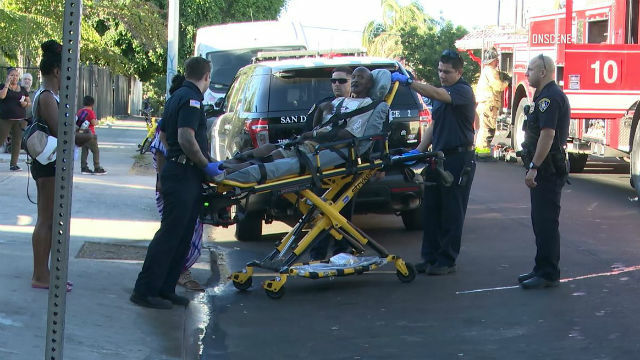 Two people were injured Thursday afternoon in an apartment fire in City Heights. The blaze in the 4200 block of Estrella Avenue erupted shortly before 5 p.m., according to the San Diego Fire-Rescue Department. It took crews about 10 minutes to subdue the flames, which damaged a top-floor unit in a three-story building, SDFRD spokesman Alec Phillipp said. Medics took the victims to a hospital for treatment of injuries of unknown severity.